Bregman Medical Group (Coral Gables) - Book Appointment Online! 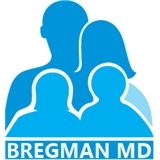 BregmanMD is a medical group of psychiatrists, therapists, and psychiatric nurse practitioners engaging in a collaborative approach to optimize outcomes. The office provides services such as psychiatry, telepsychiatry, therapy, and teletherapy.